is a 2019 award winner for beauty salons and spas in Minnesota! To experience an atmosphere of respite and relaxation, we recommend you visit Future Concept Studio + Spa in Eden Prairie, Minnesota. Future Concept Studio + Spa has received more than 1,000 reviews on five verified sites with an average rating of 4.96 stars, earning them a nearly perfect Rating Score™ of 99.61 and a 2019 Top Rated Local award for ranking among the top 10 beauty salons and spas in Kansas. “[I] love this salon. This is the only place where I can walk in, have any stylist cut my hair, and walk out feeling fabulous. [It is] affordable, nice, and clean. 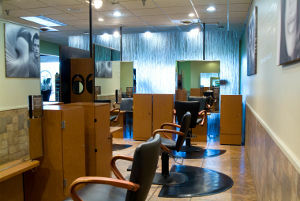 [I] love this salon!” -Andrea E.
In order to learn a little more Future Concept Studio + Spa, we took a few minutes to talk with the owner of this award-winning business, Mike Latanision. First things first, we wanted to know what sets Future Concept Studio + Spa apart from other salons. Mike told us that they keep it simple by providing the best customer service. Easy as that. This practice has supported in developing the strong reputation that they currently hold. Mike credits Future Concept Studio + Spa’s strong online reputation to the fact that existing customers inevitably refer their services to their friends. He goes on to share that nearly all of their new customers are, in fact, from referrals. Mike also credits it to the advantage of having a highly experienced team that chooses to serve a 25-year-old business. For this reason, Mike and his team have been able to, over time, build trust and respect with their clients. “I love coming here and getting a 120 minute, deep-tissue massage. 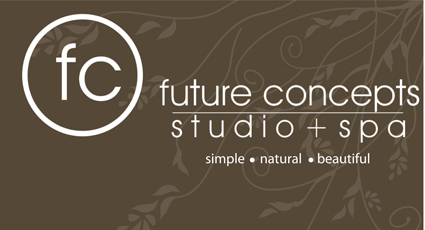 [My massage therapist] does an amazing job of getting all the knots out and yet, it’s so relaxing [that] I usually fall asleep.” -Anne R.
Congratulations to the team at Future Concept Salon + Spa for being a 2019 Top Rated Local award winner, and thank you so much, Mike, for taking the time to speak with us! Visit their website here!